Greetings readers! This is RishRaff here. It has been a long while since we’ve actually had a post. A few months ago, I personally posted about taking a hiatus, which ended up turning into a hiatus for the entire blog. All of us authors have been busy with school and various life plans as we prepare to graduate/have graduated college and enter the real world. Before I say any more, I wanted to just give a view into the anime that have impacted me over my life, listed in chronological order. So please join me in this post, and enjoy the reading. The Pokemon franchise has always been an important part of my life. While I won’t explain my emotional attachment to the franchise, I will explain why Pokemon Advanced was relevant to my history. The Advanced season has always been my favorite of the series (in part for nostalgia from when I started watching it at the age of 8 or 9). One day I discovered FanFiction.net at the beginning of my teenage years, and needless to say, I started reading, and later writing, Pokemon fanfictions, which were primarily based on the Pokemon Advanced series. And yes, I was an Advancedshipper for those who know what that means. While Pokemon is not my “gateway anime,” it was through writing Pokemon fanfictions that I became aware of anime. In a comment on a particular story, a reader mentioned the dance from the series Lucky Star. I got curious, and after seeing the actual dance, watched the full series. Granted, I do not fully consider Lucky Star my gateway anime either (I promise more on this later), Pokemon Advanced is the reason I ever got exposed to anime. Remember that gateway anime talk? Shugo Chara is probably what is most deserving of the title “Gateway Anime” for me personally. I found Shugo Chara by accident when I looked up Advanceshipping AMVs on YouTube, and found one particular AMV dedicated to Amu x Ikuto. The anime show itself is a shojo (marketed toward teenage girls) magical girl show that is definitely in the same vein as Tokyo Mew Mew or Sailor Moon. I was definitely not the target demographic as teenage male. Why did I latch onto this show? Well, a couple things. I’d never really seen anything like Shugo Chara, and the premise is genuinely interesting. Other than Lucky Star, the only anime I really knew were the big ones like Naruto, which were not to my tastes. 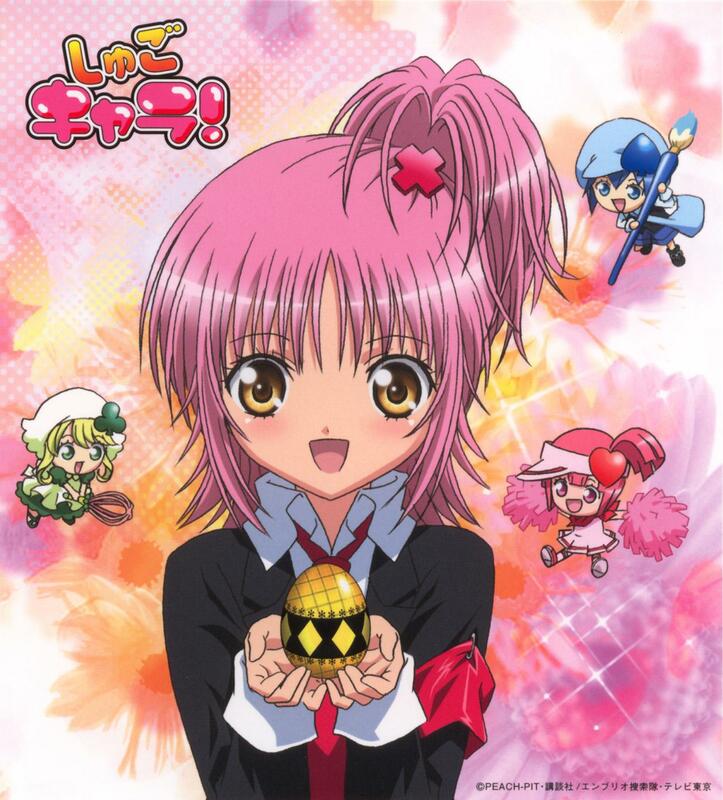 I totally enjoyed my experience with Shugo Chara and would recommend it to any fan of magical girl anime. As for how it was my gateway anime, I found the author of Shugo Chara was Peach Pit, a duo who also wrote manga including Rozen Maiden and DearS. I watched a lot of shows based on Peach Pit’s work, including the previous two in my early years of anime, and it exposed me to a variety of content. Another anime that holds a ton of nostalgia for me (as will most of the ones on this list). As a teenage boy, the typical shounen anime was bound to make an appearance on the list, and Blue Exorcist is one of my favorites. While the anime plays similar to most shounen anime, I appreciated the religious references and mostly positive portrayal of Christianity, something I had not yet encountered in anime. Both of the OP are absolutely fantastic to me, and are among my favorite OP. Its overall impact on me was that it was the start of me figuring out what I liked and didn’t like in my shows. Blue Exorcist provided me with many reference points to which I compare many anime as for reasons for me to watch them. For example, humor and slice of life qualities in the show end up working into most of my favorite shows that I originally pegged in Blue Exorcist. Contrary to the previous anime, Magikano really drew the line for me as to what I really hated about particular anime. It was what made me so plot focused in much of analysis. This all derives from the anime’s just terrible ending. For modern fans, think the disappointing/stupid ending of Erased, but just mostly stupid. 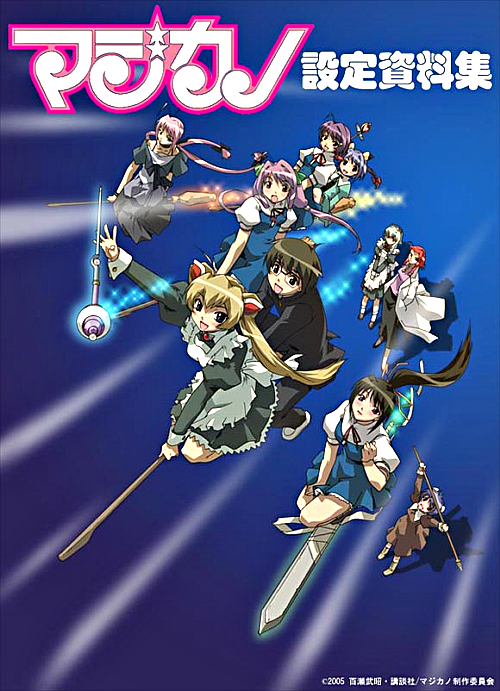 Most of Magikano was a mediocre romantic comedy (which I was watching a lot of at that time) with fantasy elements, until the very last episodes. The show goes from vaguely boring to just completely terrible. I won’t spoil it, but I rank it as the number one worse anime I’ve ever watched, and I’ve seen Diabolik Lovers and Mars of Destruction for comparison. Honestly, this is probably the best anime in terms of quality on this list. Blast of Tempest combines fantasy and magic with anti-heroes, a complicated revenge plot, and tons of Shakespearean literary references to craft an excellent anime. Fans of the Full Metal Alchemist franchise would definitely enjoy this anime. Anyhow, I digress. The significance of this anime for this me is that it is the first anime I watched as episodes were coming during the season. While this seems almost trivial, it was such a completely different way of watching a show, especially when so many episodes end on a cliffhanger. While it has faded to the back of my mind, Blast of Tempest is one of the highest quality anime I have watched and something I have a connection to. One of the most staple romantic comedies in all of anime, Toradora was the first anime to emotionally move me to tears. Granted, it was during a particularly hard time in my teenage years that I first watched Toradora, so the actual story probably shouldn’t have caused me to bawl as much as it did. Still, gave me emotions beyond general excitement that caused me to actively seek out more of these emotionally heavy shows. Angel Beats! is arguably the most important show on this list in the context of my life. When I initially stumbled across the show, I was highly hesitant to watch it. After Toradora, I gave it a chance and was blown away. To start with the basics, it introduced me to Visual Key, a company that makes some of the best anime I have ever seen. More on them later. The show emotionally moved as well, and that was born out of pure attachment to the characters and plot rather than my own hormonal state. Angel Beats! is my number one anime to recommend, something LowKev and B-Ro are testiments to. Perhaps the most interesting part was how my interest in how Christianity impacts anime and Japanese culture in general was sparked by this show (though it could be traced back to Blue Exorcist as well). I like this anime so much that I started my anime figure collection with Otonashi and Kanade. While I could gush on and on about this show, I’ll begrudgingly move on. This anime is specially for a little different reason than the others on this list. Tanaka-kun is Always Listless is one of the funniest series I’ve ever had the pleasure of viewing. It has been on my list of favorite anime ever since it aired, and it has fantastic rewatch value. This anime is special on the part that this is the favorite anime for my fiancee and I to enjoy together. 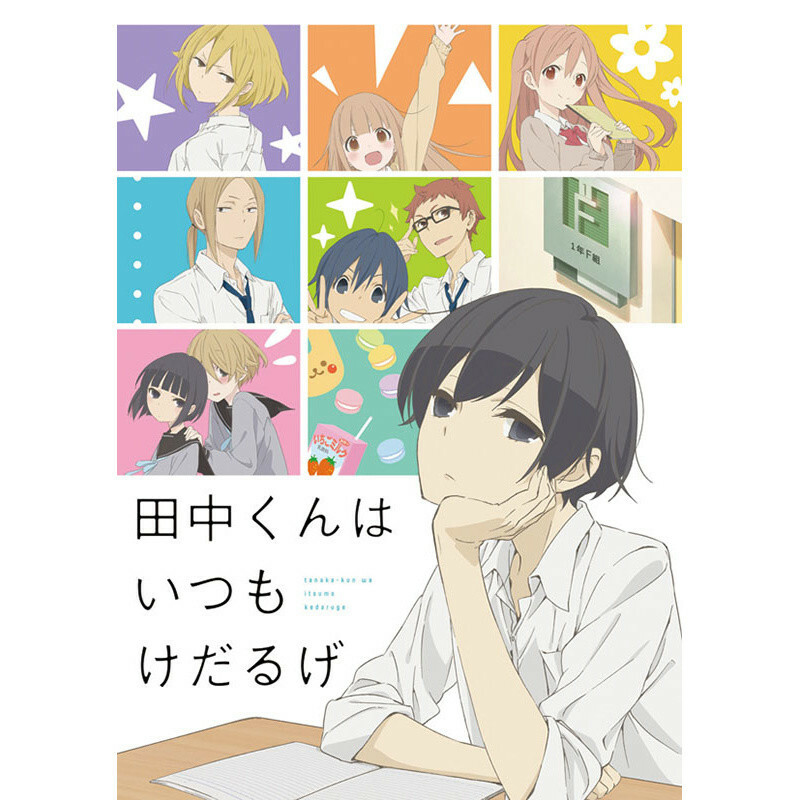 There are others we’ve watched, such as Tonari no Seki-kun and Your Lie in April (definitely get strong recommendations from me), but nothing beats an afternoon with Tanaka-kun is Always Listless. My current favorite anime is Planetarian by Visual Key (see I told you they would appear again). As my current favorite, one had better believe it has made a grand impact. The themes, characters, everything about it screams masterpiece to me. I will relent that it has its flaws, but an anime that managed to compete against so many other anime that I’ve had much older attachments to proves its metal. Planetarian proved to me that quality anime can be continued to be released in modern times, despite how sad the industry looks right now with the over saturation of sequels and fanservice heavy anime. It doesn’t have me longing for the old days like rewatching older series on this list, but hopeful for the future (something that relates quite well to the themes of Planetarian itself). I offer these reflections as a testament to my love of anime. With a heavy heart, I must admit the future of RishRaff Reviews is uncertain. I would certainly like to continue doing reviews, but the busyness of life does not slow down. With that in mind, I will be leaving all the reviews for the 70+ anime series we have already reviewed for your browsing convenience. Please enjoy our catalog of reviews, and thank you for your support all this time! So many wonderful series in there—Toradora has a special place in my heart as well, and I adore Planetarian. Thanks haha. They are all special. Every anime fan has those anime that have impacted them greatly.